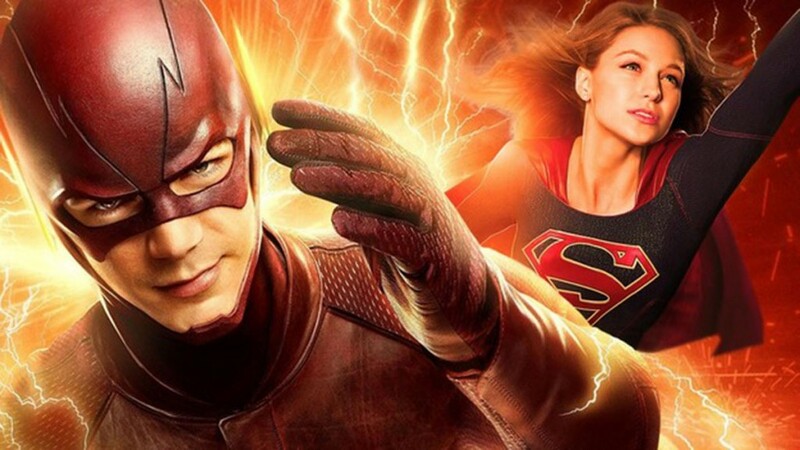 Among the major announcements made at this summer’s TCA, Miss Martian will be coming to Supergirl, Dolph Lundgren will be coming to Arrow, and the shows will feature a musical crossover episode. In addition, it was also announced that the shows would be introducing a new gay character into the mix. The shows feature Curtis Holt (Mr. Terrific), Sara Lance, Nyssa Al-Ghul, and David Singh as characters who are already out. EP Andrew Kriesberg got right to the point with the initial announcement. Greg Berlanti, Executive Producer of all four shows, continued to elaborate on the character and how they plan to feature them. The character is someone significant and coming out will be part of their development throughout the season. EP Sarah Schehcter was also kind enough to give us some hints – more like obvious statements – on who the character could be. Needless to say, we still have no idea after she “narrowed it down”. So for now, we can confirm that the character has a gender, and is a character. Who do you think it could be? Clue me in down in the comments, I’m drawing a blank on this one. It’s Winn on Supergirl. That’s the most likely at least. Could be Alex, but my money is on Winn. Neither one of them are new characters, though. I thought they said it was someone new. Wouldn’t make a lot of sense for it to be Winn. This article is a bit misleading. It has been confirmed that it will be an existing character, not a new one. And there’s no real reason why it wouldn’t make sense for it to be Winn, assuming they put in the time to get there. Now if the season started with him declaring he was gay, that wouldn’t feel earned, I agree. But plenty of gay men have been in relationships with women and slept with women prior to coming out. If you are in denial about your sexuality or feel like society is telling you that you are supposed to like women, you might be inclined to try your best to make that work. That’s a very real and very human storyline that could be very effective if done properly. It doesn’t make sense for it to be Winn. Gay men aren’t pinning over women they can’t have. He’s straight. Alex makes a ton of sense. She never seemed overly interested in any men on the show. Gay men who are comfortable with their sexuality and feel confident in their identity are unlikely to pine over a woman they can’t have, though that’s not necessarily always true (for some people sexuality is a bit more fluid). But in Winn’s case, he isn’t there yet and it is VERY common for gay men who are not yet out to themselves or others to try to have straight relationships. I know, because I did it. And that can include building up a fantasy of romantic interest in an unattainable woman who you can see as a model of perfection. The fact that the woman is unattainable could actually be a plus on a subconscious level. I went with the “new character” idea because the first line of our source, Variety, read “The CW will introduce a gay character on one of the network’s superhero shows this upcoming season.” I took that to mean a new character. That makes sense; Variety’s piece does give that impression. If you check some other sources though, it’s clear it’s an established character. There’s even a direct quote from the producers confirming that in the TVLine article. Thanks for the info! I was unaware. So do CW shows now have to atone for the imagined slight that happened on the last season of The 100?